It is not a secret that a couple of decades ago women where not allowed to wear trousers. The question is, when did this situation change and what was the reason? The answer is linked with the Word War I and II. During World War I women started to wear their husbands' trousers while doing the jobs previously assigned to men. 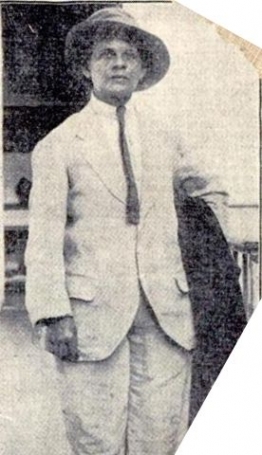 In 1919, Luisa Capetillo, became the first woman to wear trousers in public in Puerto Rico. However Capetillo was sent to jail for a "crime" of wearing pants. Luckily, later the judge dropped the charge against her. During World War II while men were fighting the war in Europe, women were in charge of producing the stuff needed for the war. It was not safe to produce all the stuff dressed in skirts and women began to wear pants while working at the factories. Nevertheless, even at this stage pants were allowed only at the workplace! After the Second World War things went back to where they were before and only in the 1960s this situation radically changed due to the Feminist Movement which required the equal rights amendments. In 1960s "Breakfast at Tiffany's", a movie which would then become an all time classic, amazed public when an actress Audrey Hepburn wore pants as it was very brave thing to do at that time. In 1969 Republican Charlotte Reid became the first woman to wear trousers in the US Congress. However, it was 1993 when women were allowed to wear trousers in the US Senate floor and 2012 when Royal Canadian Mounted Police allowed women to wear trousers and boots with all their formal uniform. Interestingly, recently a new movement started demanding skirts to be a normal choice for both men and women. In May 2014 male students and teachers in Nantes, France started a campaign to fight against sexism across the country through wearing sport skirts instead of trousers. The idea behind this movement is that half a century ago women fought for their rights to wear trousers and today nobody is taken aback when women wear pants on a daily basis. So why is it so unusual for the reverse to occur; for men to wear skirts? The answer to this question we would probably know in the near future. Let's see what happens!